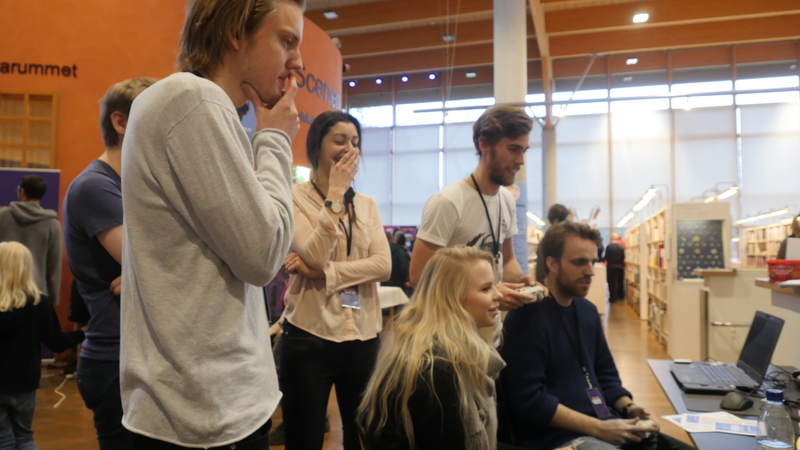 On the 2th of december, we got the chance to be a part of a book fair called TellUs together with the East Sweden Game community. Games on a book fair may sound strange, but this book fair is quite different. Besides books a big part of the event is narrative and how stories can be told through different forms and mediums. Anyone who plays games know how excellent medium for storytelling it can be, ranging from the more linear storytelling such as games like the Uncharted series, to games like Minecraft where the players has the freedom to create stories of their own. After setting up we started to wonder if anyone even would want to try out our game, as we looked around and felt that the visitors seemed to be far off our target audience. Well, in the end we had the most inspiring and fun showcase yet! 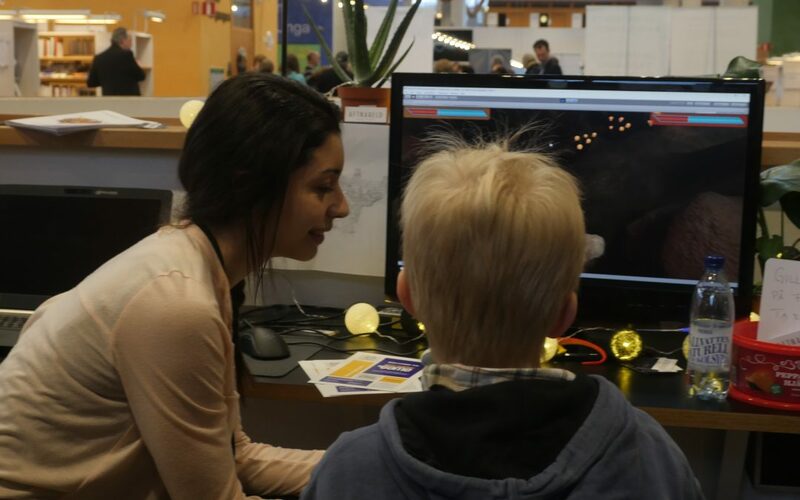 Kids, teenagers and adults came to try Coridden, and some wonderful kids came back several times and didn’t want to stop playing! It was heartwarming and so rewarding to see people simply play together, cooperating and enjoying to learn and explore the game. This is definitely something we would love to do again!